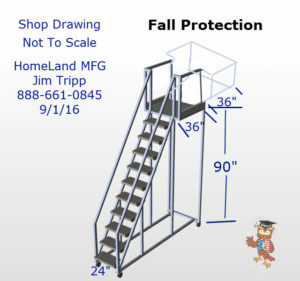 Ballymore TT913, Adjustable Cantilever Ladders are great for all kinds of maintenance applications. 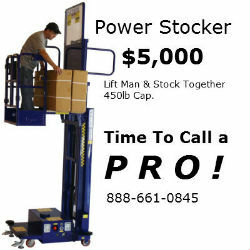 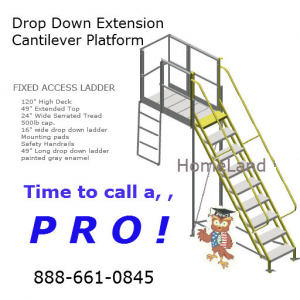 These CANTILEVER TANK TOP LIFTS provide easy access to tank trucks, railroad cars or other cantilevered applications. 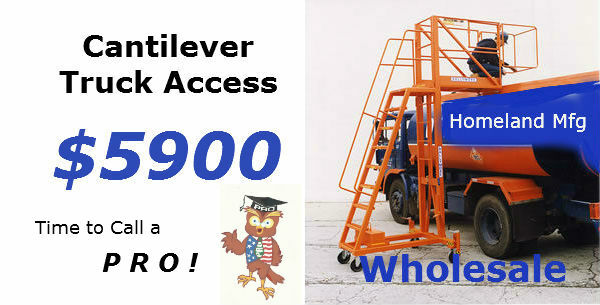 Ballymore TT913 are ideal for inspections, or for clearing snow and ice off tops of trailers. 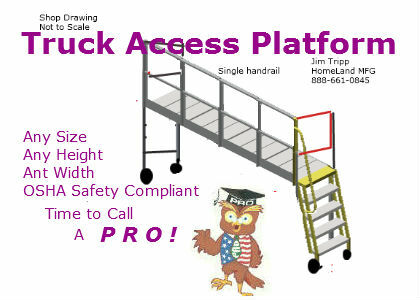 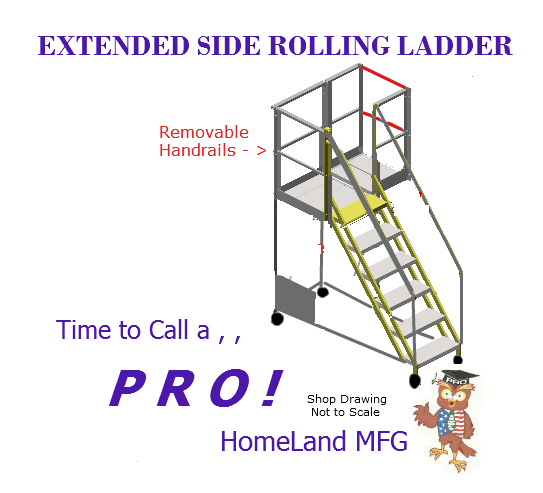 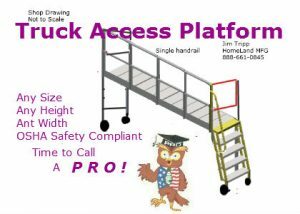 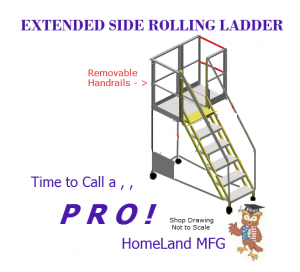 For safety purposes the step and deck tread is open serrated grating, while slip resistant rungs provide access when platform is raised. 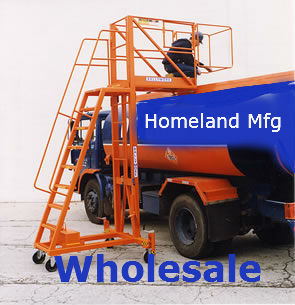 Economical & OSHA Safety Certified. 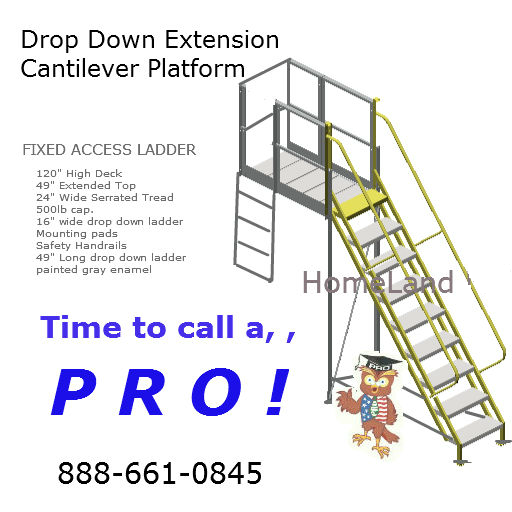 Call a CANTILEVER PLATFORM Pro!